Vietnam is a multi-ethnic and multi-cultural country which consists of 54 ethnic groups. 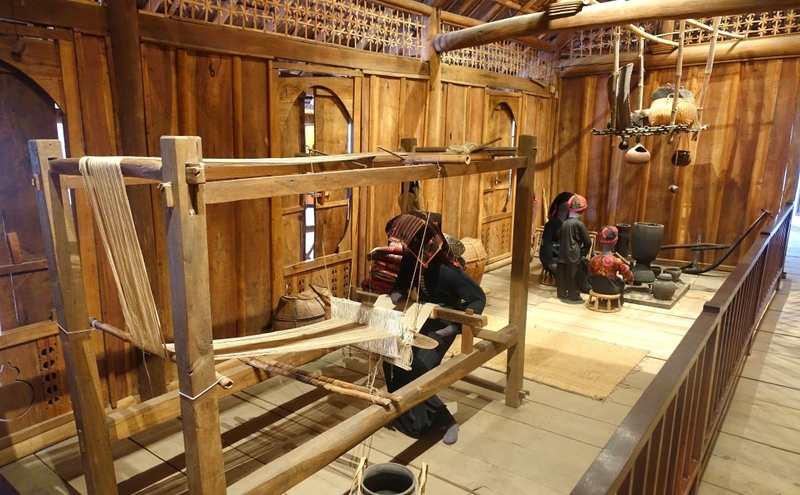 Perceiving the importance of preserving the distinct and unique cultures of these groups, Vietnam government decided to establish an ethnographic museum with the total budget of over 27 billion VND ($1.9 million). 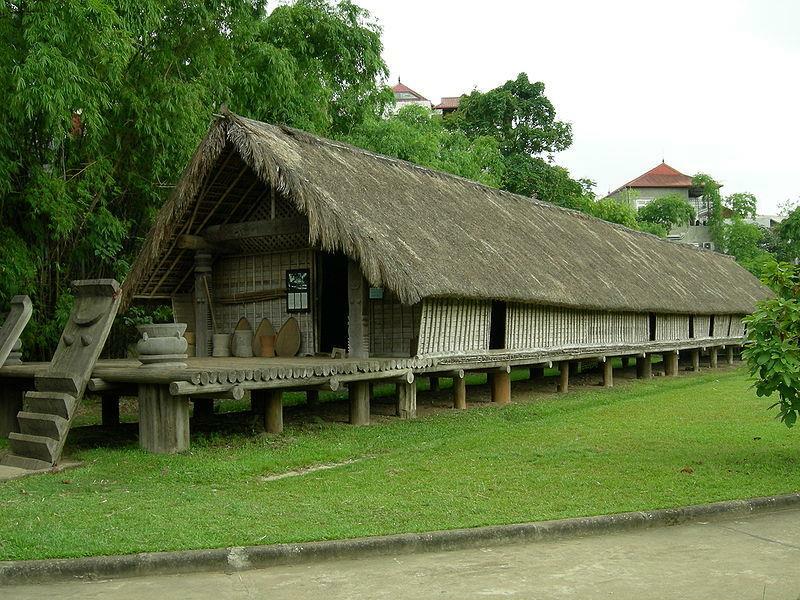 In 1987, Vietnam Museum of Ethnology was started its construction in 3.27 acres of land (13,200 m2) on Nguyen Van Huyen Street, Cau Giay District. The construction lasted in 8 years (from 1987 to 1995) and was launched on November 12, 1997. 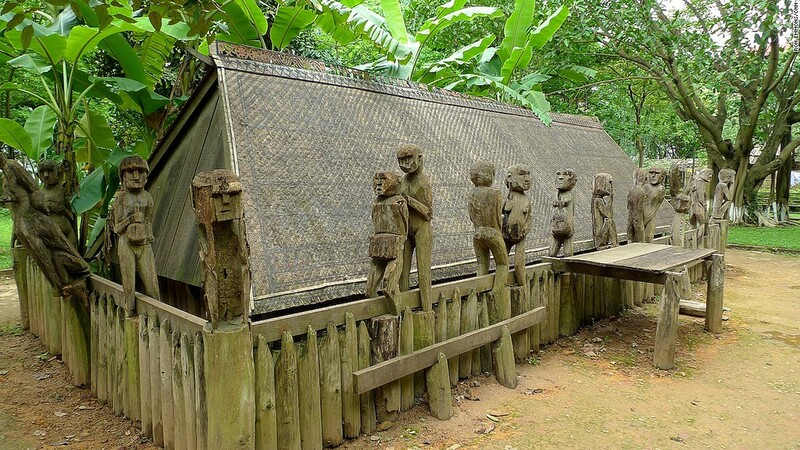 Since its inception, the Museum has attracted the attention of many tourists and ethnographic and cultural researchers. 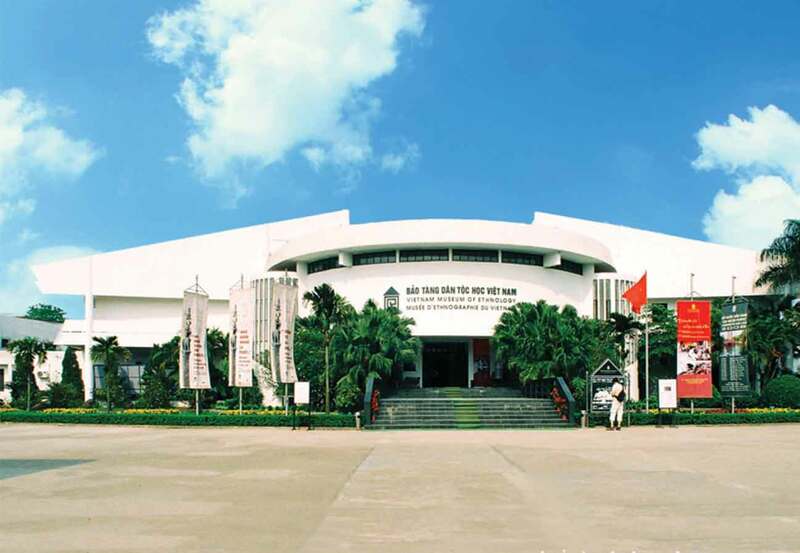 Nowadays, the Museum is widely considered one of the most fascinating museums in Vietnam and tourist attractions in Hanoi. Vietnam Ethnology Museum has the shape of Dong Son Drum. It was designed by Ha Duc Linh, a Tay minority; and the interior architecture was designed by a French architect, Ms. Veronique Dollfus. The Museum composes of two main exhibit booths, which are an indoor and outdoor area. The indoor area includes galleries, offices, research centers, libraries, technical labs, auditoriums, and storage. It has the total area of 2,480 m2 in which 750 m2 using for storage of artifacts. The outdoor part has 2 hectares in width having different types of architecture characterized for 54 ethnic groups. In addition, in 2007, a 4-storey building named "Cánh Diều" (the Kite) was began building with the objectives of introducing foreign cultures, mainly the cultures of nations in the Southeast Asia. This is the third exhibition booths of the Museum. In details, in the indoor area, a plenty of common objects using in daily activities were displayed. For example, goods made from a variety type of fabric by people in different ethnic groups such as skirts, scarves, clothes, etc were decorated with various traditional techniques. Other manmade products include baskets, trays, musical instruments made from bamboo, calabashes, ritual artifacts, and so on. Along with the traditional objects, tourists can find documents and photographs reflecting all aspects of tangible and intangible culture in daily life and the creativity of minorities. To fully serve the demands of tourists, all the information in the exhibition as well as articles and notes are translated into three languages, which are Vietnamese, English and French. Besides, the Museum also drafted many leaflets introducing the main contents of the exhibition in Chinese, German, Japanese, English, French, etc free distributed for tourists. In addition, in each area of the Museum, there are friendly and enthusiastic volunteers who are ready providing information, taking photographs, and doing anything tourists need to make their excursion become perfect. The Museum opens every day (except from Monday and Lunar New Year holidays) from 8.30 am to 5.30 pm for tourists visiting. 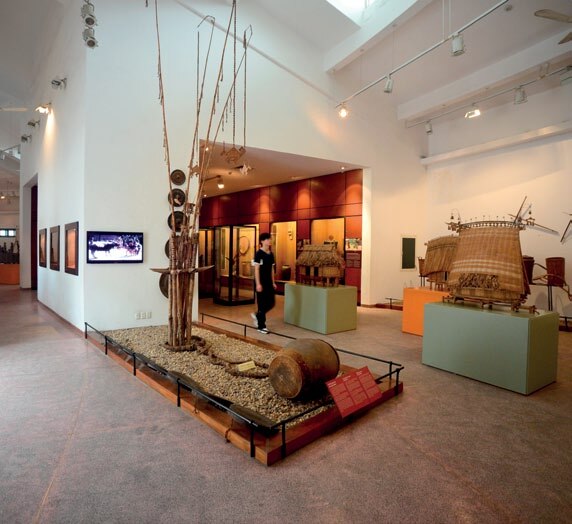 With the traditional values, Vietnam Ethnology Museum received a certificate of excellent service by TripAdvisor. Accordingly, the Museum ranked in the sixth position in a list of 25 most fascinating museums in Asia. The evaluation was done basing on the remarks and comments of people who visited this website and scored for a destination that they visited. The highest point is 5 stars and a tourist destination is recognized as an excellent place must achieve 4 stars or higher. 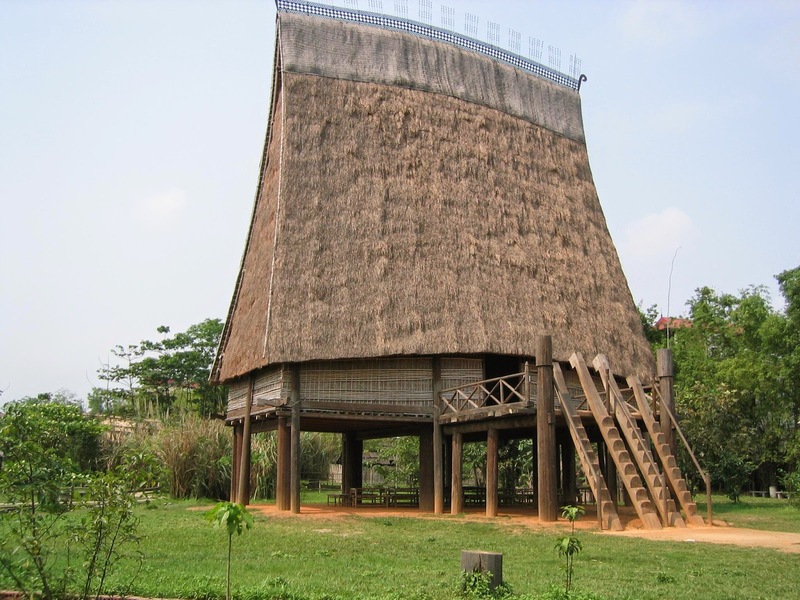 According to the selection of this website, Vietnam Museum of Ethnology received 500 excellent ratings, 375 good ratings (4.5 stars). TripAdvisor also ranked the Museum in the fourth position in a list of 95 Hanoi attractions.